What Steam Engines were at Phoenix United Mine? Here is a list of steam engines installed at Phoenix United Mine, Compiled from Kenneth Brown/Bob Acton’s Exploring Cornish Mine’s book, and The CAU study on the Minions area. Many of these engines were made at William West’s St. Blazey foundry. A 36″ engine erected 1869-1870. A horizontal engine used in the last part of the mine’s life. A good set of remains exist. A 24″ engine driving 64 head of stamps. A poor set of remains. A 15″ or 20″, the use and size of this engine is not well known. Originally a pair of William West 26″ engines that was replaced with a 32″. It Drove a 96 head of stamps. This 60″ engine was main pumping engine on the mine. Very poor set of remains. A 60 ft wheel in the valley bottom. A splendid set of remains! Reference: Minions, An archaeological survey of the Caradon Mining Dsitrict, By Adam Sharp, Published by the Cornwall Archaeological Unit, 1993. For those passing through Cornwall then pop into the Liskeard Bookshop, to buy books about the Caradon Mining area. To buy the books on line, or download the kindle publications then visit my Amazon store. Phoenix United- Where are the remains? When Phoenix United closed most of its structures were demolished. However, amongst the undergrowth and rubble some remains exist. This post gives the grid references of the some of these remains as given by the Cornish Archaeological Unit in their 1993 report on the Minions area. Note: All abandoned mine sites in Cornwall, by their nature, can contain hazards to those straying beyond the public rights of way. This blog is intended as a guide to those exploring the Maps of the Caradon mines, and not as a guide to those visiting the site. For those wishing to visit the mine I recommend the ‘Exploring Cornish Mines’ series of books by Kenneth Brown and Bob Acton. For those passing through Cornwall then pop into the Liskeard Bookshop, to buy a copy of my books about the Caradon Mining area. To buy the books on line, or download the kindle publications then visit my Amazon store. 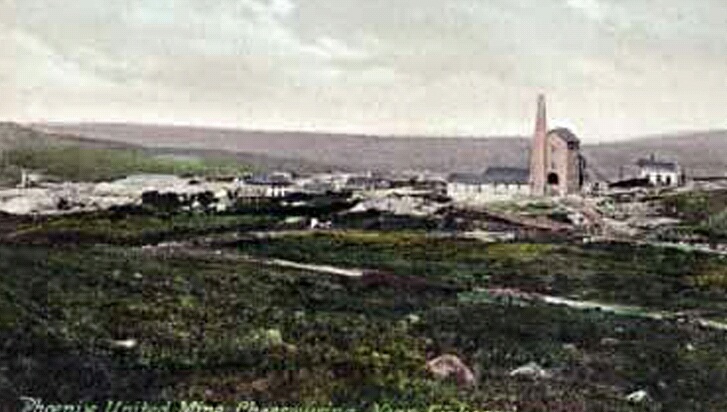 This is one of a series of posts about Phoenix United Mine in southeast Cornwall. A mine with a history as rich as its underground wealth. Phoenix United had the longest history of all the mines in the Caradon Mining District. This longevity was a combination of being blessed with both tin and copper, and William West’s determination to exploit those reserves. This combination of minerals resulted in a sandwich of three periods of working. 18th Century: Stowe’s lode being worked by several mines including Stowe’s, Stowe’s End, Clanacombe and Newland. 1824-5 Stowes Sett worked as Wheal Julia. 1852 A rich copper lode was struck. 1869 Branch of the Liskeard and Caradon Railway built to serve the mine. 1898 The mine closes due to falling tin prices. 1909 The Pumping Engine at the Prince of Wales Shaft is officially started by the Prince of Wales. 1914 Prince of Wales shaft working closes as a failure. 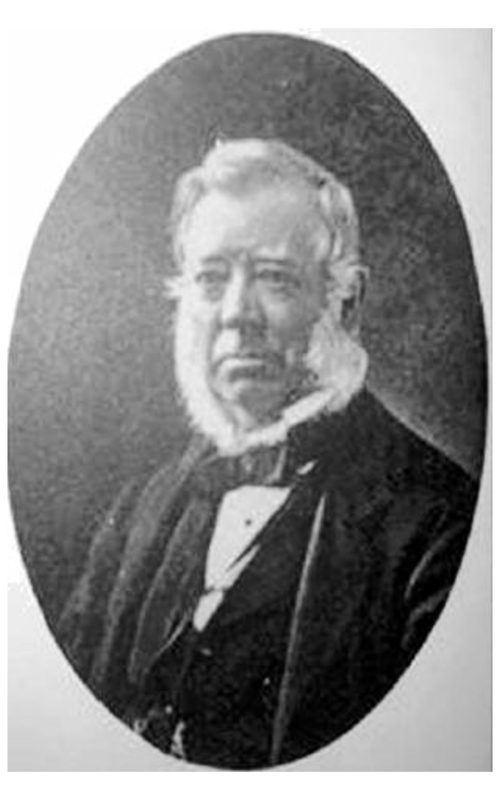 The significance of William West’s achievements at Phoenix United Mine is captured by events at the mine in 1870, a rare occurrence of Cornish Miners presenting a gift to the mine’s owners. Here is some extracts from the Western Morning News account of the day’s events. “On Saturday last (July 9th, 1870), at Phoenix Mine pay-day, an event of a very interesting and gratifying character occurred – the presentation by the miners and others employed in the now extensive and flourishing adventure, to Mr . W . West, of a very handsome time-piece.”………. The account now continues with a description of the presentation, but this blog will skip to the words of William West. “Mr. West, after briefly thanking the deputation, addressed the whole body of employees from the window. He could hardly express to them his feeling in receiving such a testimonial from such a fine-looking, steady body of men and women. He was sorry, in one sense, to take anything from them, for they worked hard enough for their money, and had plenty of uses for it, and he would rather give than take; but still he accepted their handsome present with a very deep and real pleasure. (Applause). He hoped that they had in Phoenix a mine that would provide for them and theirs all their lives. He had many difficulties in bringing it out, but they had stuck by him like men. Most of them, he knew, were originally western men, and he hoped that they and their families would find themselves thoroughly comfortable in the east. It should not be his fault if they were not. That they were careful, steady men, was proved in the very few accidents that occurred. Still he exhorted them ever to neglect taking proper precautions. He knew that mining was practical by experience. (Applause.) He was quite as desirous that the mine should be worked safely and comfortably as profitably; and he sent up a stock of copper-ended tamping bars, with which each ‘pair’ was to be supplied. Today, standing at the entrance gate to the count house I can imagine William West stood in the bay window with the miners crowded below. I have stopped at this gate many times, and read the speech to groups; the Last Great Cornish Engineer’s words still being heard in the landscape he moulded. The rest of the account can be read in ‘The Last Great Cornish Engineer‘. Click here to explore their site. The first extract shows the count house with a shaft immediately to the north. Either side of the track are the remains of the stamps. 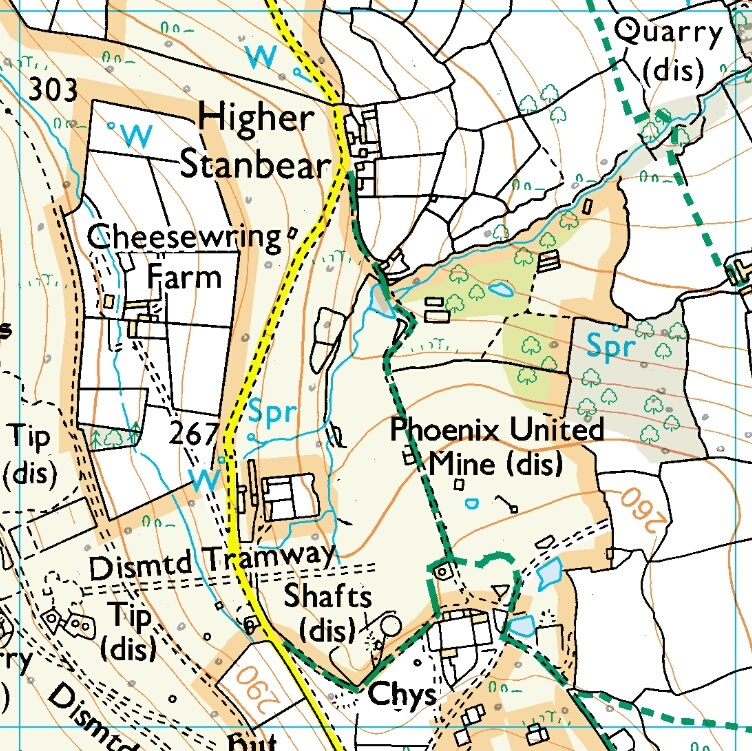 The second map is to the west of the count house, and clearly shows the tramway incline up to the West Phoenix section. Remains of West’s Shaft winding engine and Hamilton’s Shaft pumping engine are marked in the bottom part of the extract. This map shows the valley bordering the sett to the north. The grid type structures are remains of a slime processing works. The long thin structure in the northeast corner is the water wheel casing. The final map covers the head of West Phoenix incline, with its associated shafts. An invite received from the Pensilva history group to explain the rich history of Phoenix United Mine is a great opportunity to run a series of posts on the mine, a mine that was closely involved with William West, the last great Cornish engineer. 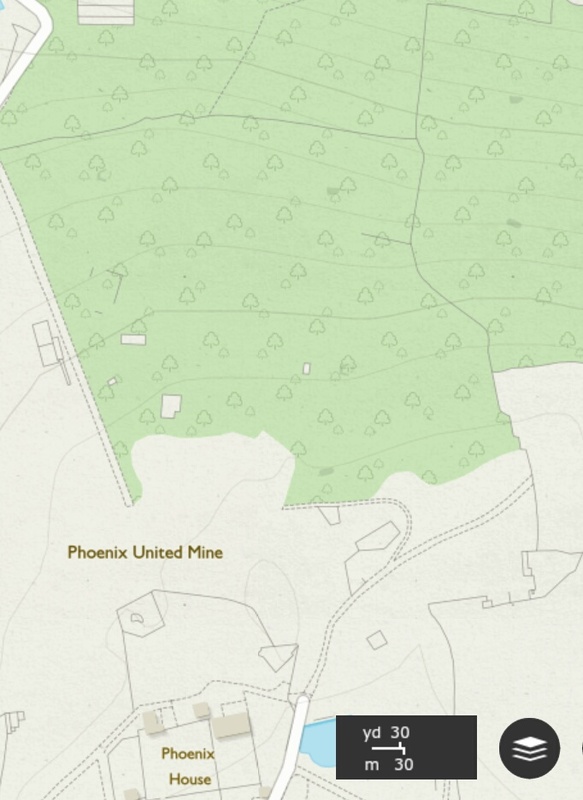 Where was Phoenix United Mine? 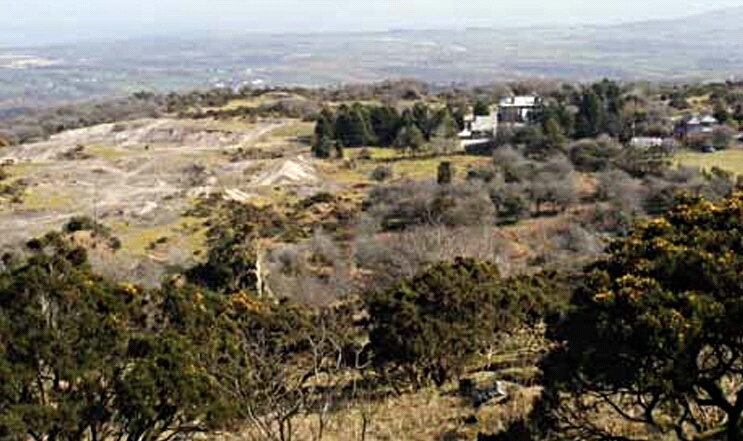 Phoenix United was located in Southeast Cornwall, on the edge of Bodmin Moor, near to the village of Minions. Phoenix was one of the great success stories of mining in the Liskeard area, with a history worthy of its name. It was the second richest of that Caradon Mines, and was was one of the few that extracted both copper and tin. Most of the mine is located within grid ref square SX 2672, which is covered by the ordnance Survey explorer map 109 (Bodmin Moor). Click here to buy on Amazon. 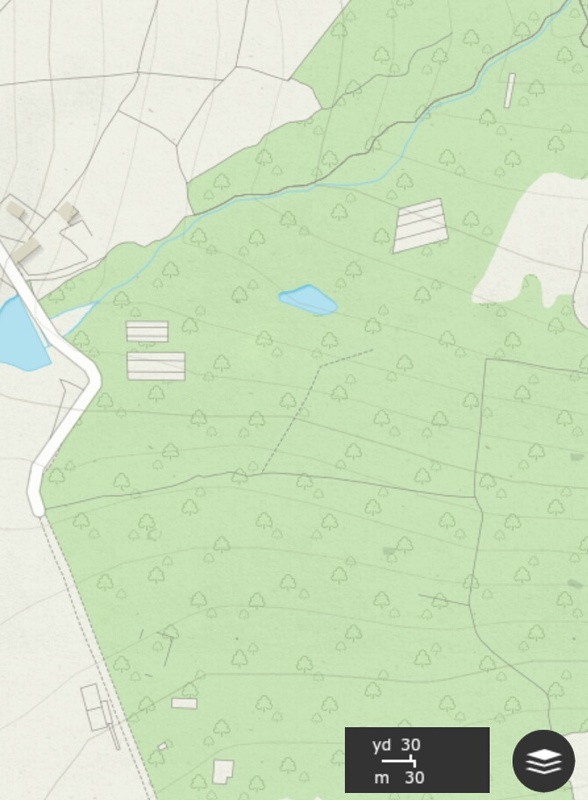 This 1:25000 map is perfect for exploring the Caradon hill mines. 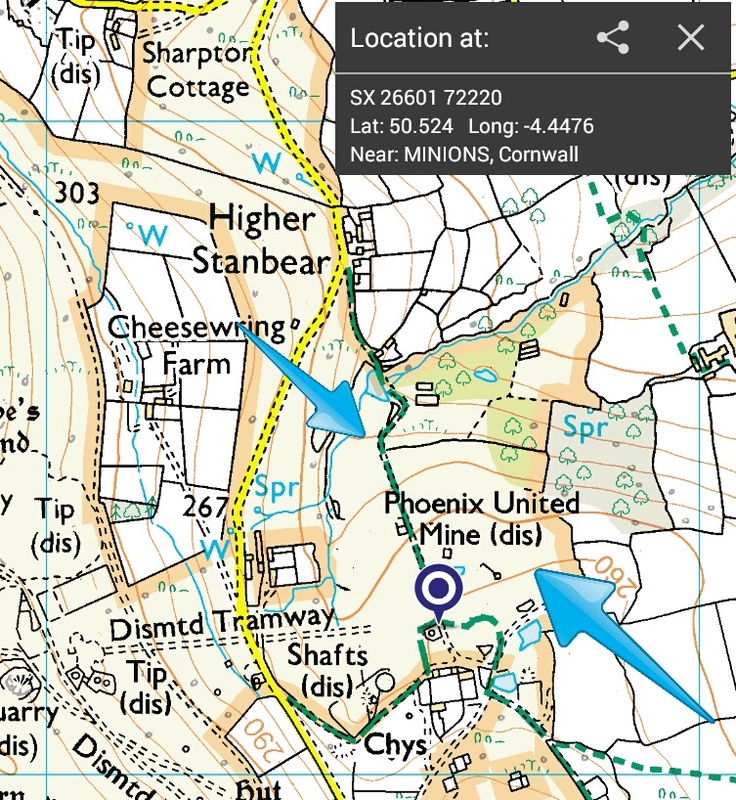 An alternative for Kindle users is the OS Mapfinder app, an excellent programme, great fun to use. If you have the app the cell to download is: 25000 SX 27. 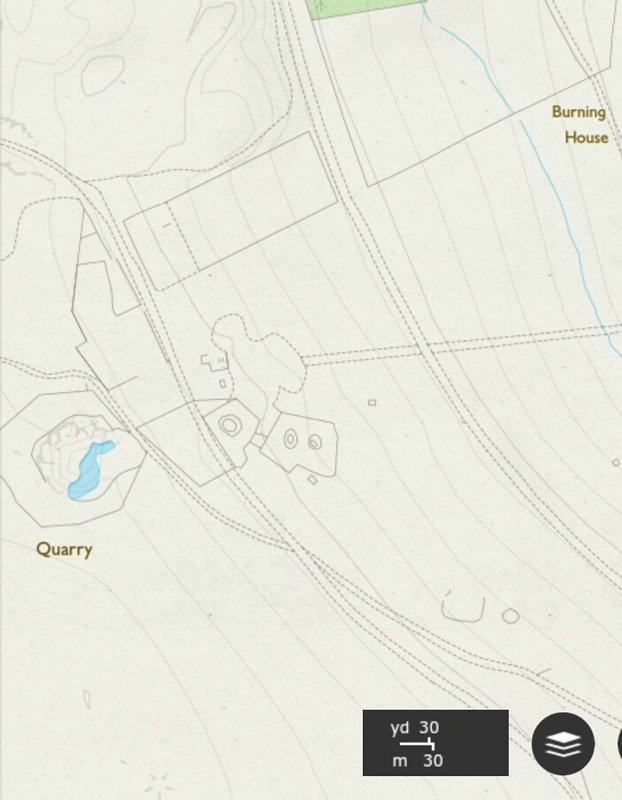 This is a screen shot from that app showing a pin dropped in the mine with a full grid reference and Lat/Lon. The brown shading indicates that the site is on open access ground, and the green dash lines show the public rights of way across the mine. 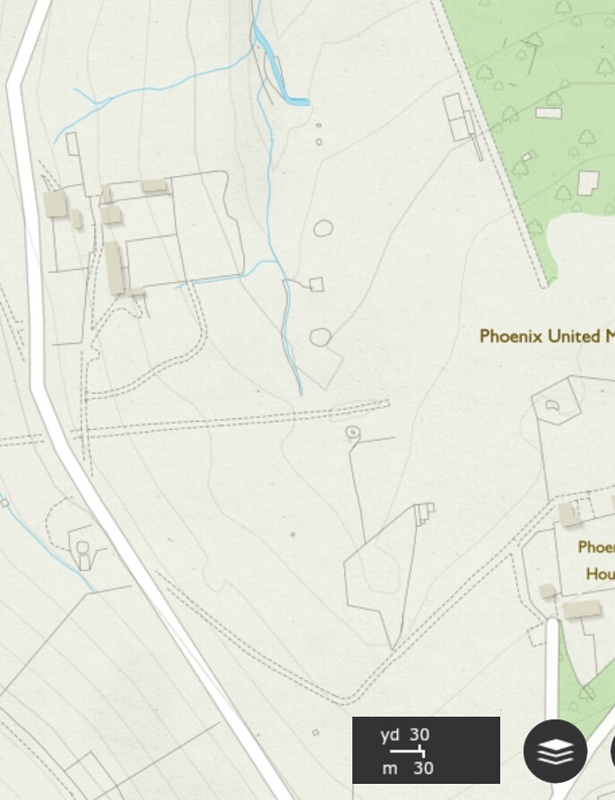 As can be seen, Phoenix United has good legal access for those planning to visit its remains. Minions makes a good base from which to explore the mine with its car parks, cafes and pub.